Even as Donald Trump’s behavior continues to spiral more aggressively and criminally out of control, House Democrats are moving more aggressively with the tools they have for exposing Trump and taking him down. 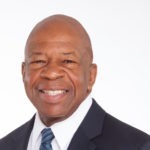 To that end, House Oversight Committee Chairman Elijah Cummings is subpoenaing Trump’s financial records – and he’s about to get them. As Palmer Report keeps explaining, subpoenas are a very powerful tool, but they’re not magic wands that always deliver instant or automatic results. When the person or entity being subpoenaed doesn’t want to cooperate, it can result in a court battle where a judge ends up deciding who has to do what. If House Democrats want to win these rulings, they have to carry out their subpoenas in a way that’s based in strategy, not haste. Fortunately, when it comes to the subpoena that Cummings is sending, there will be no fight. That’s because Donald Trump’s accounting firm Mazars actually asked Cummings to issue a subpoena for Trump’s financial records. This allows Mazars to fully cooperate without violating any confidentiality agreements that might be in place. The Washington Post says that the subpoena is happening right about now, and since Mazars has already publicly staked itself to fully cooperate, we expect the records will be turned over very soon. This story runs parallel to last week’s revelation that Capital One has been cooperating with House Democrats for the past month when it comes to Donald Trump’s banking records, and that Capital One has asked to be subpoenaed. According to House Financial Services Committee Chair Maxine Waters, Deutsche Bank has already begun giving her Trump’s banking records as well. These financial institutions are clearly uninterested in protecting Trump at their own expense; they just want legal cover for cooperating with House Democrats.